South of Fort Augustus, the A82 leaves behind Loch Ness and runs along the west shore of Loch Oich and then the east shore of Loch Lochy, till it reaches Spean Bridge. Here the A82 continues south to Fort William, while the A86 branches east through Glen Spean to join the A9 Perth to Inverness road finally at Kingussie. All along this route are many opportunities to get off the beaten track and explore huge chunks of real wilderness, deserted since the Clearances and soaked in the blood of history. The old village of Invergarry stands where the A82 turns west to meet the A87. 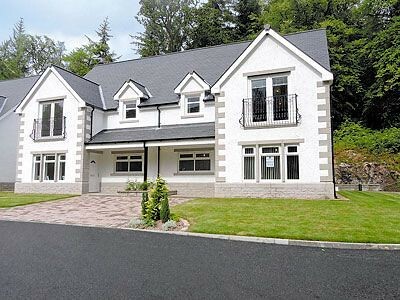 The village is ideally situated to explore the highlands, particularly the route west through Glen Garry, and there are several places to stay. The Invergarry Community Centre hosts both the Heritage Centre and a coffee shop. The local pub "The Invergarry Hotel" is an ideal base for both walkers and fisherman and often is a base for local musicians to perform on a weekend. The village is sited directly on the Great Glen Cycle route and provides an ideal stopping point for refreshments or an overnight stay. Inside the entrance to the Glengarry Castle Hotel stand the ruins of Invergarry Castle, once the stronghold of the MacDonnells of Glengarry and later destroyed by the Duke of Cumberland as he wreaked revenge on the Highlands in the aftermath of Culloden. The hotel was later built as the main house of the Ellice family, who made their fortune from the Hudson Bay Company in Canada and who were the main driving force behind the creation of the Victorian planned village. A mile or so south of the village, at North Laggan, is a monument by the side of the road standing over The Well of the Seven Heads. This tells the grisly story of the Keppoch Murders, one of the most infamous clan murders which took place at Roy Bridge in the 17th century. It all began when the chief of the clan MacDonnell died, leaving two young sons, who were sent away to complete their education before returning to Roy Bridge to celebrate the elder brother's accession to the chiefship. Another branch of the clan present at the celebrations started a fight in which both brothers were killed. Believing they had been murdered, one of their cousins persuaded a fellow clan member to raise 50 men and march on the murderers' house at nearby Inverlair. The accused murderers - a father and his six sons - were duly slaughtered and their heads cut off, to be displayed before the local laird at Glengarry. On the way to his lodge, the heads were washed here in this well. A few miles further south, at Laggan, where the A82 crosses to the east bank of Loch Lochy, is the site of theBattle of the Shirts. On the east shore of Loch Oich, near North Laggan, is the Great Glen Water Park, Tel. 501381, an outdoor activities centre offering numerous adventure sports, including white-water rafting, canoeing, mountain biking, rock climbing, sailing, windsurfing, hill walking and water skiing. There are also self-catering lodges for rent. 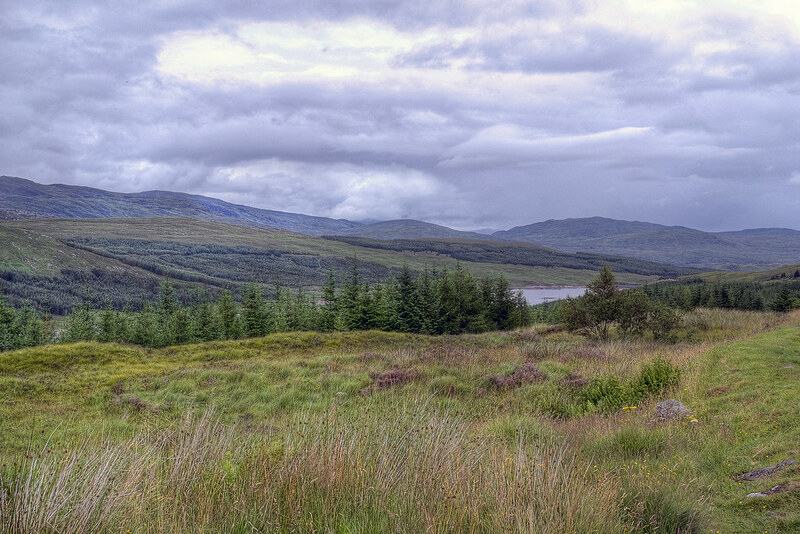 There are several fine short walks starting near Invergarry. A mile or so before the Glen Garry viewpoint, where the A87 begins to leave the shores of Loch Garry, is the turning left for the road through Glen Garry, described as the longest and most beautiful cul-de-sac in Britain. The little single-track road turns and twists for 22 glorious miles along the shores of Loch Garry and Loch Quoich all the way to Kinloch Hourn, at the head of Loch Hourn, a sea loch on the west coast. Glen Garry is now virtually deserted but was once home to some 5,000 people who were driven out during the infamous Highland Clearances in the 19th century. The road passes the tiny hamlet of Tomdoun, once the junction of the main road to Skye, until the massive post-war hydroelectric schemes changed the landscape. Experienced hillwalkers can still follow the old route to Skye, through Glen Kingie, along Loch Hourn and then across the wild Knoydart peninsula till they reach the tiny settlement of Inverie. From here a little ferry runs twice a day on Mon-Wed and Fri to Mallaig. Beyond Tomdoun the road passes a huge dam, built in the 1950s, which raised the waters of Loch Quoich by over 100 ft, flooding many of the old settlements. 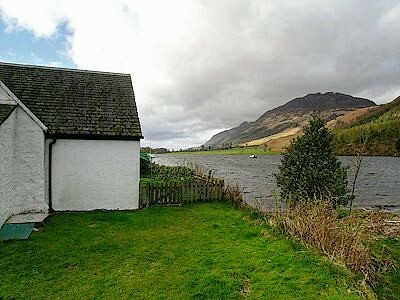 Also flooded was Glen Quoich Lodge, which can count Edward VII and Sir Edward Landseer among its notable guests. It was reputedly Glen Garry that gave Landseer the inspiration for his famous painting The Monarch of the Glen. The road then reaches its highest point, at 1,200 ft, before descending to Kinloch Hourn, once a thriving fishing village but now remote and isolated. Incredible as it may seem, you can actually stay here. 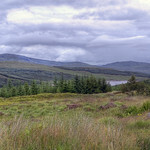 Tour companies Glengarry Mini Tours, Tel. 501297, run various minibus day tours in the Great Glen, Glen Coe and Glen Nevis. Invergarry is on the Fort William to Inverness bus route. It is also on the main Fort William to Kyle of Lochalsh and Skye Citylink route, and a couple of buses pass through daily in both directions. For times: Tel. 0990-505050. The A87 leads west from Invergarry through Glen Shiel to Shiel Bridge, on the way to Kyle of Lochalsh on the west coast. About seven miles along the A87, past the turning for Kinloch Hourn, is the Glen Garry viewpoint, from where you get one of the most stunning, and famous, of all Highland views. From this angle Loch Garry looks uncannily like a map of Scotland, so get out the camera for that classic holiday snap. There's a postbus from Invergarry post office on Mon, Wed and Fri, which runs to Kingie, which is halfway to Kinloch Hourn. A 4-seater post car runs all the way to Kinloch Hourn from Invergarry on Tue, Wed, Thu and Sat. A more scenic return would be to take the ferry from Kinloch Hourn to Arnisdale (summer only; daily by arrangement) and then head to Glenelg, from where you can take a ferry across to Kylerhea onSkye. 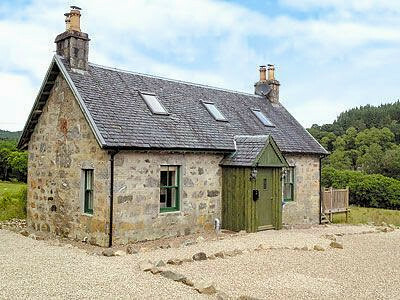 South of Invergarry, at South Laggan, is the SYHA Loch Lochy Youth Hostel, Tel. 501239, open mid-Mar to end-Oct. There are a couple of campsites near the village: Faichem Park, Tel. 501226, open Easter-Oct; and Faichemard Farm Camping Site, Tel. 501314, open Apr-Oct, which is off the A87. Skiary, Tel. 01809-511214, open May-Sep, phone ahead to arrange for a boat to meet you. This is perhaps the most remote guesthouse in the Highlands. It is accessible only by boat or foot and has no mains electricity. There are 3 rooms and prices are for full board, and include the boat trip both ways. The food is wonderful and the setting is simply magnificent.